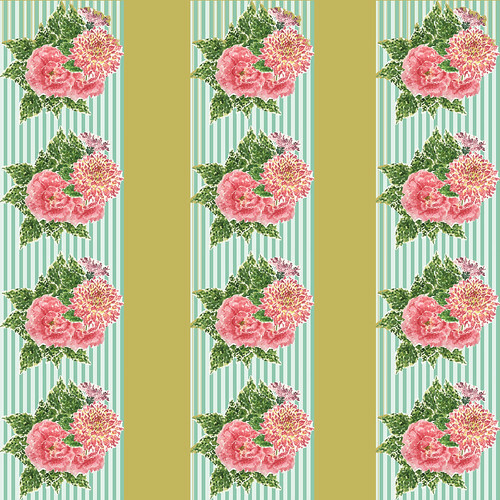 large boquet stripe with mustard, originally uploaded by indiaeden. I spotted this gorgeous skirt this morning (actually all the skirts on this website are amazing. ), the print reminded me of this design I did a few weeks ago. I abandoned this theme after several tries because it just wasn't working for me,but having seen this skirt I might re visit the theme,and see if I can come up with something for a skirt of my own.